In a partnership with Bloomingdales stores, the Adrienne Arsht Center challenged Miami International University of Art & Design (AI) students to create garments to commemorate the opening of the hit show, Pandemonium: The Lost & Found Orchestra. Students from AI’s Fashion Accessory, Fashion Design and Fashion Merchandising programs took to the task with style, creating garments and accessories that exhibited a fantastical representation of the show. Approximately 45 students entered the contest where they were asked to create garments from lost and found objects in keeping with the show’s theme. Four winning designs were prominently displayed in an exhibit at Bloomingdale’s stores at the Falls and Aventura Mall during the entire month of September. 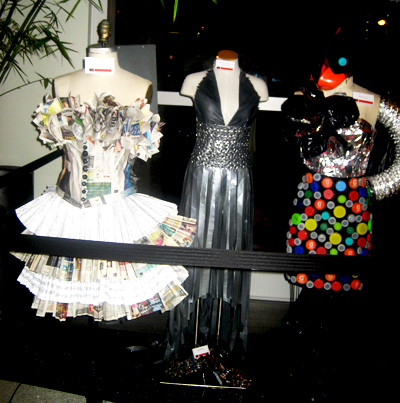 In addition, several garments were displayed in the Adrienne Arsht Center lobby during the run of Pandemonium. Superintendent of Miami-Dade County Public Schools Alberto Carvalho shared his vision for the upcoming school year with school and community leaders at the Adrienne Arsht Center on August 17 during his annual Opening of Schools Address. Carvalho repeated his promise not to cut art, music or physical education opportunities for students. “The arts are more than just important in the classroom, they are what binds us together as a human race, what enriches our existence on this planet , what gives meaning to our lives, and we will not cheat our children of their right to everything a high-quality education should encompass,” he said. The Opening of Schools program featured a world-premiere musical performance by the Miami Wind Symphony, and greetings from Ricky Arriola, Chairman of the Performing Arts Center Trust Board of Directors, and School Board Chair Dr. Solomon Stinson. 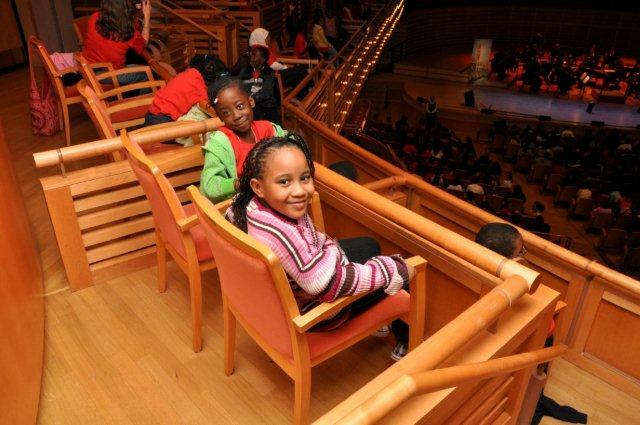 “In many ways, the Adrienne Arsht Center and Miami-Dade Public Schools share a campus. From our earliest days, we have been looking for ways to collaborate with our schools with the goal of exposing our community’s youth to the power of the performing arts,” stated Arriola. In what may be the best example of how the Adrienne Arsht Center and Miami-Dade Public Schools can partner together to enrich the lives of our students, this past May every fifth grade class in the County was invited to free performances of ROCK ODYSSEY. More than 1,000 classrooms from 112 schools attended the performances, making it the most exciting and ambitious arts education program in Adrienne Arsht Center history. The Opening of Schools Address was made possible in part by the generous support of the South Florida Educational Federal Credit Union. Quality arts programming is a growing need in schools and the Adrienne Arsht Center is teaming up with the Miami-Dade County Public Schools (M-DCPS) to help empower classrooms teachers in this area. A team of administrators from the Adrienne Arsht Center and M-DCPS went to Washington D.C. in early May for the four-day Partners in Education Institute that examines program models and planning strategies for establishing or expanding professional development programs in the arts for classroom teachers. 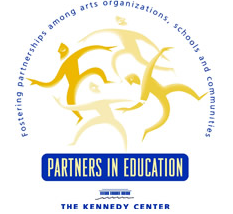 The Partners in Education program, created by the John F. Kennedy Center for the Performing Arts, is designed to assist arts and cultural organizations throughout the nation develop professional development programs for teachers. The program, established in 1991, is based on the belief that educating teachers is an essential component of any effort designed to increase the artistic literacy of young people. 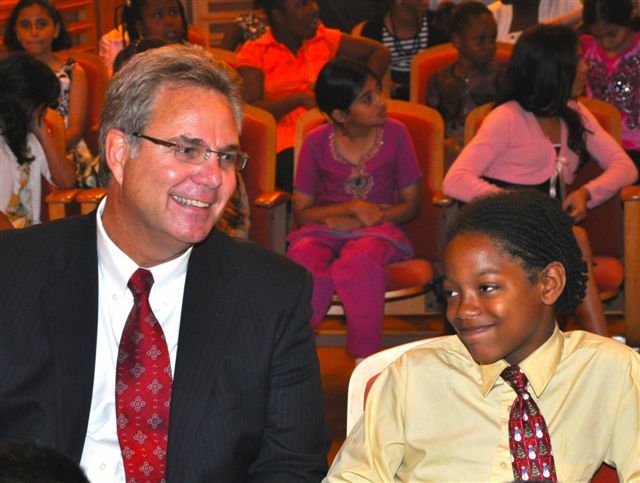 President and CEO John Richard and Director of Education Deanna Costa represented the Adrienne Arsht Center and the team was rounded out by M-DCPS Assistant Superintendent Maria de Armas, Administrative Director of Social Sciences and Life Skills John Doyle, and Performing Arts Supervisor Robert Davis. At the Institute, the team examined a variety of professional development events for teachers developed at the Kennedy Center and they participated in workshops alongside Washington, D.C. metropolitan area teachers, studying how the workshops are designed, implemented, and evaluated. Over the course of the four days of workshops and information sessions, the team developed a written plan that specifies how the partners will work together to establish or expand professional development programs in the arts for teachers in their communities. The Adrienne Arsht Center/M-DCPS team joins 90 Partnership Teams in 44 States and the District of Columbia that already participate in the program. The Adrienne Arsht Center’s Learning Through the Arts program is in its inaugural year and it’s receiving rave reviews from students and educators. Beginning with 5th grade this year, more than 26,000 students were invited to the Center, free of cost, to experience a live, fully staged theatrical show over the course of two weeks as part of Learning Through the Arts. 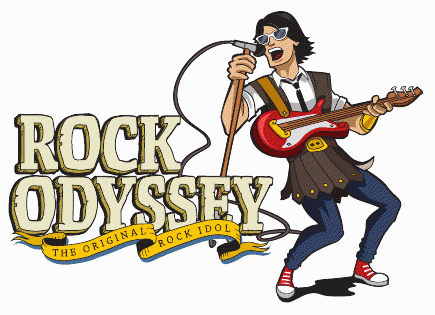 Students saw Rock Odyssey, a rock opera style retelling of Homer’s epic The Odyssey. This high-quality, age-appropriate professional production was produced by the Adrienne Arsht Center with an award winning creative team and a fabulous local cast. Arsht Center President and CEO, John Richard, enjoys a quick chat with one of the students before the start of Rock Odyssey. Student audiences have enjoyed the comedic musical with its rock score and flashy costumes. They gasped when the 9-foot Cyclops entered the stage, cheered for the good guys in the battle scenes, and erupted in applause when the family in the story was reunited at the end. The crowds were brought to their feet in the final scene when it SNOWED in the theater! This unique theater experience is to be followed up with classroom activities using specially-created curriculum materials and lesson plans provided for teachers that are connected to the Sunshine State Standards. The Adrienne Arsht Center’s new Learning Through the Arts program, a partnership with the Miami-Dade County Public Schools, exposes Miami-Dade County students to live high-quality, age-appropriate professional productions of music, theater, and dance, supplemented by curriculum materials and lesson plans—at no cost to them or their schools. This new initiative kicks off this month by bringing more than 26,000 fifth graders to the Adrienne Arsht Center to experience a live musical. For many of them, it will be their first time going to the theater to see a live show. Running from April 27 – May 8, 2010 in the John S. and James L. Knight Concert Hall, Rock Odyssey is being created by a team of award-winning theater professionals. Educational entertainment pioneer Douglas Love, who is directing the production, is the idea man behind this musical theater piece. He enlisted Emmy Award-winning songwriter/composer Billy Straus and Kleban Award-winning book writer Stephen Cole, to create a new musical, charting the mythical 16-year-journey chronicled in Homer’s The Odyssey. The result is a dynamic rock musical, tailor-made for young people, featuring a tremendous stage set, dramatic puppetry, and inspired musical ballads. Mounting a show of this magnitude requires experienced theater professionals and designers to take the work from page to stage. The creative team producing the work is a dynamic mix of artists from around the country as well as local theater professionals. 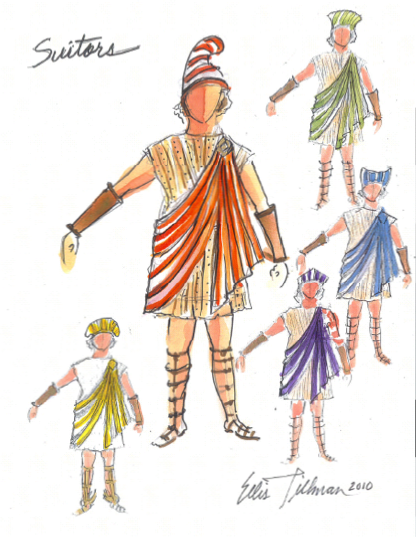 Miami-based costume designer Ellis Tillman’s costume sketches and work samples give us a preview of how he will transform the actors into Greek heroes on a set designed by New York-based Laura Brock. And the cast is entirely local. Audiences will step back in time when they step into the Knight Concert Hall and experience the theater magic conjured up by this award-winning team. Learning Through the Arts is made possible by the support of Miami-Dade County Mayor and Board of County Commissioners, the Miami-Dade County Department of Cultural Affairs and the Cultural Affairs Council, as well as the private support of Funding Arts Network. 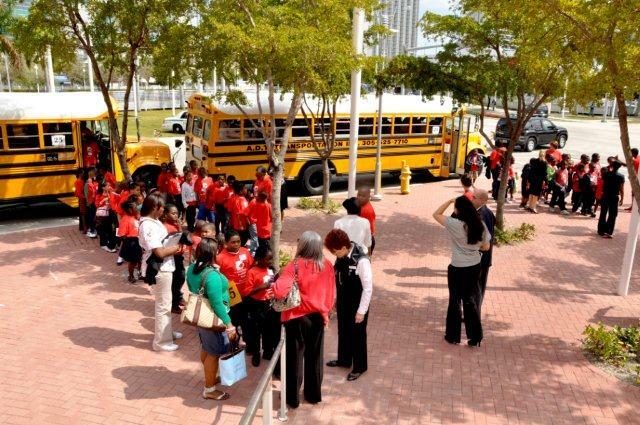 It was a perfect South Florida spring morning today as 77 buses from 73 Miami-Dade County Public Schools began to arrive at the Adrienne Arsht Center’s Knight Concert Hall. At no charge, some 3,500 elementary school students came to hear the extraordinary Cleveland Orchestra perform one of its wildly popular programs based on the lives and music of the great composers. Today it was two performances of Classical Kids Live!’s Vivaldi’s Ring of Mystery, a tale of Vivaldi, Venice and violins, and winner of over a dozen awards for outstanding music education productions. 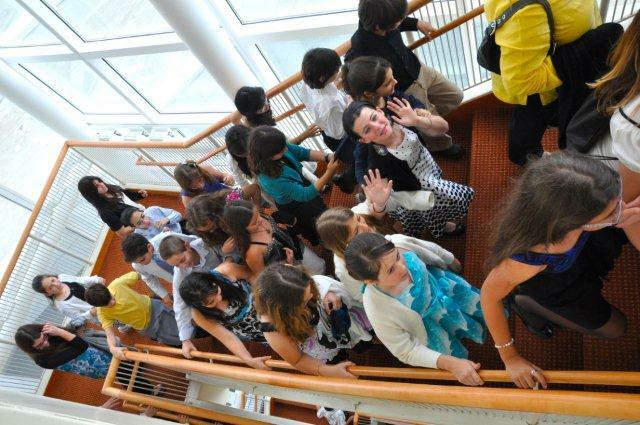 Miami-Dade County Elementary School students arrive at the Adrienne Arsht Center for The Cleveland Orchestra school concert. Photos by Manny Hernandez for the Arsht Center. Students take their seats and get ready for the show! Photos by Manny Hernandez for the Arsht Center. The students had prepared for this special day in their classrooms, with the help of CDs, study guides, and student newspapers created for this occasion. And the hall was already buzzing with anticipation as the kids took their seats throughout the main floor and tiers. Even before the show began they were enthralled by the spectacle of the theater itself, as teachers pointed out the state-of-the-art acoustical dome, doors, and panels. And lots of questions were asked about the paintings on stage that set the scene for the story with lovely depictions of Venice’s most famous sights. Adrienne Arsht Center staff welcome students to the Knight Concert Hall. Photos by Manny Hernandez for the Arsht Center. As the Cleveland players entered the stage, the kids cheered, and as the lights went down, professional actors took their places to begin the musical tale of Katarina, a young violinist, who is sent to study music at the great Pieta orphanage in seventeenth century Venice, where she is taught by the famous music director and composer Antonio Vivaldi. As the story unfolded Katarina searched for clues to her own past and to a vanishing Stradivarius violin, while the orchestra played more than 20 excerpts of Vivaldi’s most popular and important works including The Four Seasons, the Violin Concerto in A Minor, and more. Photos by Manny Hernandez for the Arsht Center. When the mystery was solved and the music came to an end, the young audience burst into applause and jumped to their feet. 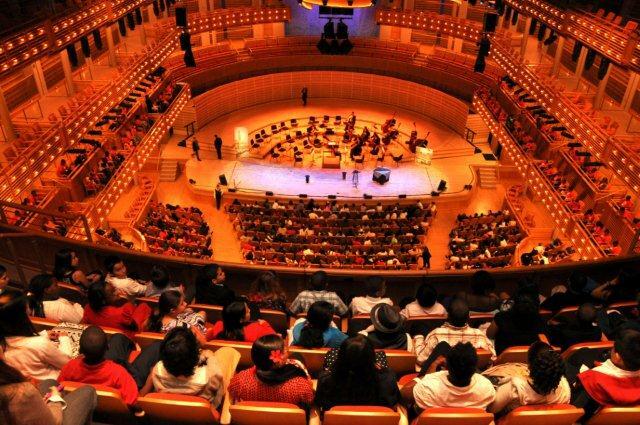 For many of them, this outing to the Adrienne Arsht Center served as their introduction to live orchestra music – an experience they will never forget. Vivaldi’s Ring of Fire, just one of the many education and outreach programs which are part of The Cleveland Orchestra Miami Residency, is presented by the Musical Arts Association of Miami and the Adrienne Arsht Center for the Performing Arts of Miami-Dade County. The Cleveland Orchestra Education Concerts in Miami, as well as related curriculum materials and professional development workshops for teachers, are supported in part by a National Endowment for the Arts Access to Artistic Excellence grant. South Florida actors and singers headed for the The Peacock Foundation Education Center at the Adrienne Arsht Center the week of February 16th to audition for the Learning Through the Arts’s Rock Odyssey, a new rock musical retelling of Homer’s epic The Odyssey. Close to 100 people brought their sheet music and smiling faces to sing a few bars for the audition panel, hopeful they would receive an invitation to come back to read for specific parts in the new production, including the roles of Odysseus, his wife Penelope, and various gods and warriors. A total of 18 men and 16 women were called back to try out for the cast of 10. Final casting will be announced shortly and rehearsals begin in March. In partnership with Miami-Dade County Public Schools, the Adrienne Arsht Center’s Learning Through the Arts program will bring every child in the public school system to see three live performing arts events over the course of their public school education. Beginning this year with 5th graders, 25,000 students will come to the Center throughout two weeks in April—at no cost to the students or their school –to experience the fully staged Rock Odyssey. This high-quality, age-appropriate professional production is supplemented by curriculum materials and lesson plans provided for teachers to use pre- and post-show in the classroom. 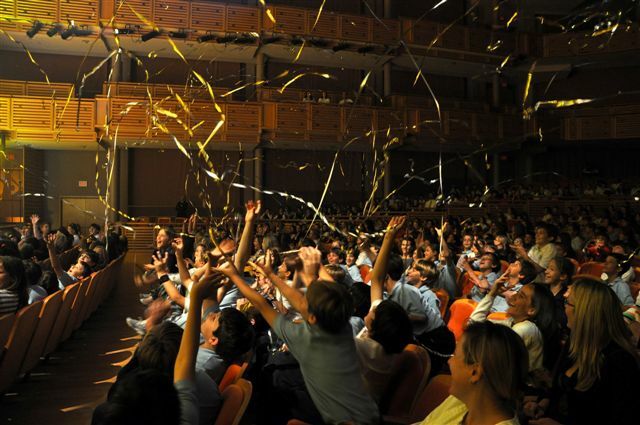 Adrienne Arsht Center’s arts education programs are made possible by the public support of the Miami-Dade County Mayor and Board of County Commissioners, the Miami-Dade County Department of Cultural Affairs and the Cultural Affairs Council.